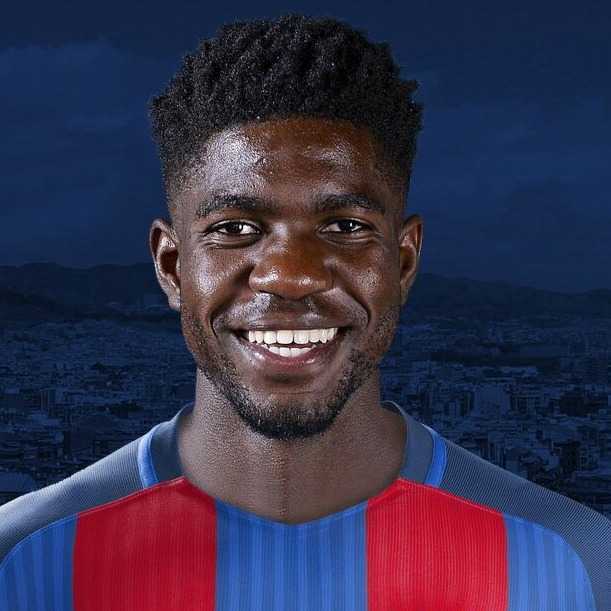 One of the popular professional football player is named as Samuel Umtiti who plays for Spanish club Barcelona and France National Team. He is a well known France celebrity. He is famous for contribution to professional life. He is best at Centre-back position. Currently, he is playing in Barcelona. He had played for Lyon, Lyon B. His Shirt number is 23. He had represented himself in Russia for the World Cup 2018 as a part of the national team by showing his talent to all. In the year 2012, Umtiti began his professional career with Lyon, winning the Coupe de France and Trophee des Champions. He totaled played 170 games and three goals before a €25 million transfer to Barcelona in 2016. After winning 47 caps and scoring three goals at youth level, including winning the 2013 FIFA U-20 World Cup, he made his senior debut for France at UEFA Euro 2016, where his nation reached the final. Passionate and enthusiastic player, Samuel Umtiti was born on 14th November 1993. He was born and raised in Yaounde, Capital city of Cameroon. He was born to mother Annie Ngo Um in Yaounde, Cameroon, and grew up along with his younger brother Yannick Umtiti. His nationality is both French and Cameroon. His astrological sign is Scorpio. At the small age of 9, he began his career with football. Samuel has got a great personality. Talking about his body, his height is 1.82 m. His weight is of 75 Kg. He has a balanced body with good health. He has an attractive body figure. His smiling face and charming personality have helped him to gain the attention of all the viewers. On 16th August 2011, he was included in a Lyon squad for the first time and later made his professional debut on 8th January 2012 against Lyon Duchere in a Coupe de France game. He made his first career goal on 12 January 2013 against Troyes in a 2–1 away win in the 2012-2012 Seasons. He was also named as the "Best Player of the Season" by the Lyon Fans at the end of 2015-2016 seasons. Umtiti signed for Barcelona for a fee of €25 million on 30th June 2016 and on 17th August he made his first appearance for Barcelona in 2016 Supercopa de Espana which Barcelona won 3–0 versus Sevilla and lifted the trophy. On 4th March 2017, he made his first goal against Celta de Vigo. Umtiti featured for Barcelona in the 2018 Copa del Rey Final, holding a clean sheet in an eventual 5–0 victory over Sevilla at Wanda Metropolitano on 21 April 2018. Samuel had represented himself in his national country, France in both senior as well as junior levels in many tournaments. He was also a member of the team that won France's first ever FIFA U-20 World Cup. Samuel Umtiti is not married yet and is also not dating anyone officially at present. He is rumored to be dating a girl named Alexandra Dualauroy. But there is no confirmation regarding their relationship. Umtiti has a considerable fan following on social media especially on Instagram more than 3.5 million followers. He is also an avid animal lover who has a puppy named Osito. The net worth of Umiti is estimated to have $3 million in 2018 with all of his properties and incomes. He is receiving an annual salary of £75,000 million from his present club.